Welcome to your mountain home! This ranch home has an airy, open concept layout. The cozy family room includes a wood burning stove surrounded by moss rock and hardwood floors. The large granite kitchen island makes for a great spot for guests to pull up a stool and chat while youâre prepping dinner. New windows throughout, new carpet and updated bathrooms make this home move in ready. Lots of off street parking & public water/sewer! 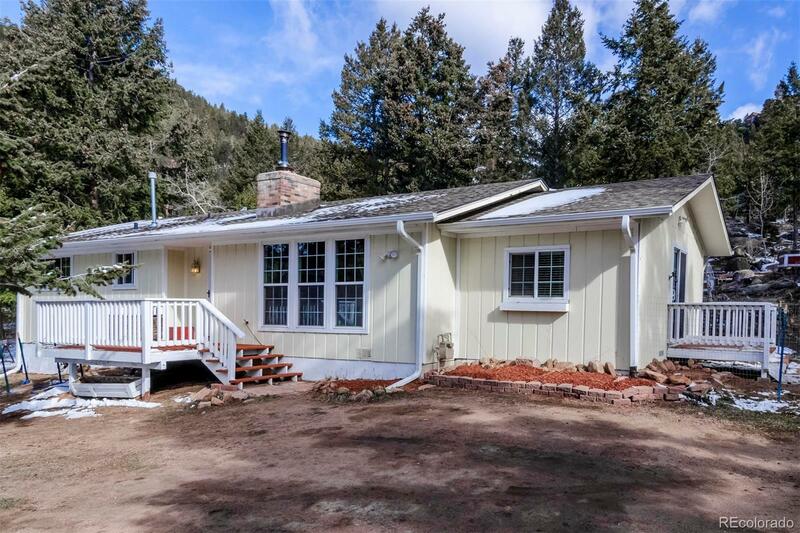 Located on a private half acre, this property offers a mixture of pines, aspens and rock outcroppings that add to the mountain living experience. The Kings Valley neighborhood offers all paved roads, and is close to HWY 285. Enjoy quick access to your favorite mountain activities including fishing, hiking, a head start to the ski resorts & an easy, all highway, commute to Denver.